If I had started a new exercise and diet regime as a new year’s resolution, these would have made me fall off that horse. Hard. As if white chocolate and peanut butter wasn’t enough, a liberal sprinkling of mini marshmallows add a little bit of chew. 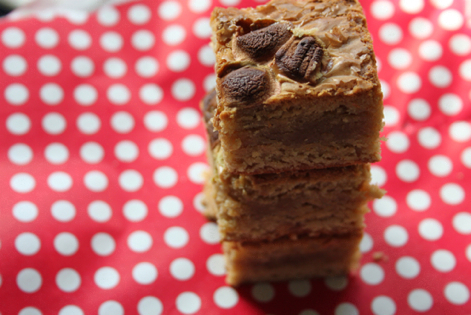 A hybrid blondie that will satisfy Cake Fudgy and Camp Cakey when it comes to texture but tastes even better the next day. 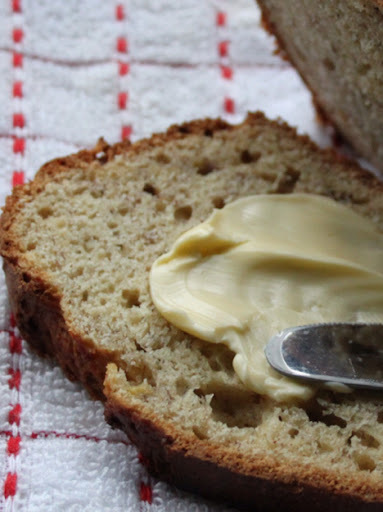 1, Melt the butter and bring it to a gentle simmer in a small saucepan. 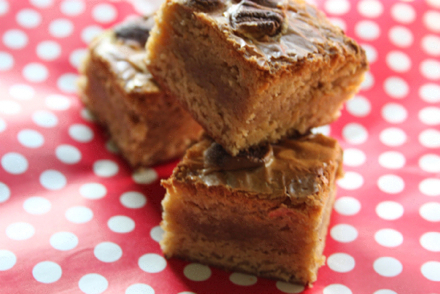 Remove from the heat and add in the white chocolate and peanut butter, gently stir until melted and leave to cool. 2, In a large bowl, sift the sugar and flour together. 3, Gently beat the eggs and combine with the butter/chocolate mix with the vanilla extract and salt. 4, Fold the wet ingredients into the dry ingredients and pour into your prepared tin. 5, Scatter the marshmallows on top and bake for 35 minutes or until golden and an inserted skewer comes out almost clean. 6, Cool and cut into squares. Recipe from here. 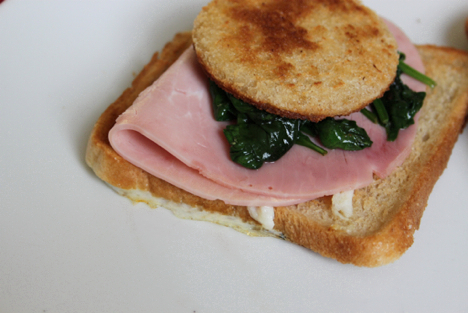 I topped ours with ham and spinach too. 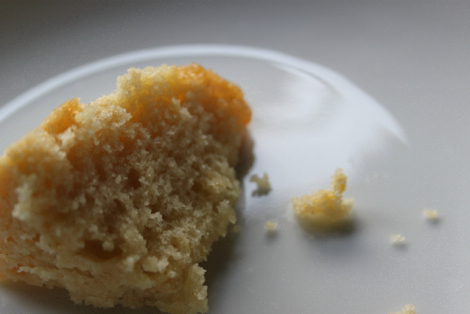 It&apos;s not unusual that the weather has an effect on what people want to eat. I, personally wouldn&apos;t go about gulping down gazpacho and icy lemon sorbet on a cold day. 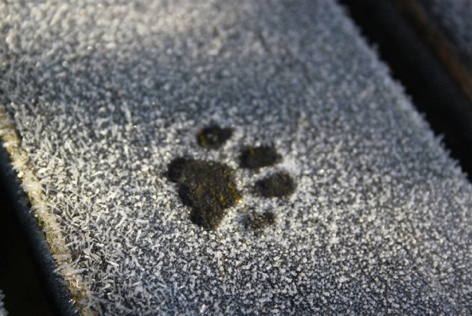 So when I nipped into the garden to round up the felines, noticed a proper ground frost and truly felt wintery, I immediately wanted something warming, something verging on comforting. 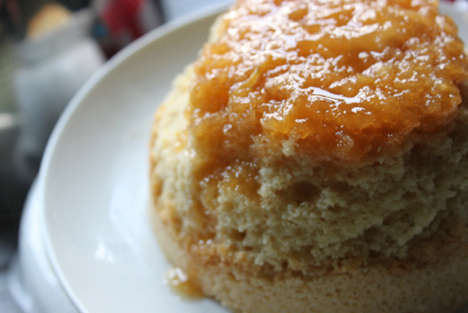 A quick kitchen survey and a root through a good cookbook left me with this steamed lemon pudding, conveniently done in a slow cooker. 1, In a 1.3lb/600ml pudding basin, spray the inside of it with cake release spray or butter and then shake a little flour around inside it. Pour the honey into the bottom and set to one side. 2, Turn on your slow cooker to high and pour half an inch of boiling into the bottom. 3, In a mixing bowl beat together the butter and sugar until pale and creamy, beat in the eggs and the gently fold in the flour. 4, Add the lemons zest, milk, salt and brandy and stir until you have a soft batter. 5, Pour the batter into your prepared pudding basin and cover with a sheet of parchment and a sheet of foil. Make a pleat in the top to allow for expansion and tie with string. 6, Put this into the slow cooker and pour in more boiling water until it comes to halfway up the side of the pudding basin. 7, Secure the lid and forget about it for two and a half hours. You don&apos;t need to check on the water levels unlike the traditional steaming methods as the slow cooker will keep it all self contained. 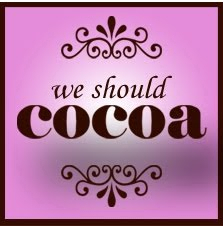 This month&apos;s We Should Cocoa is hosted by Chele over at the Chocolate Teapot. 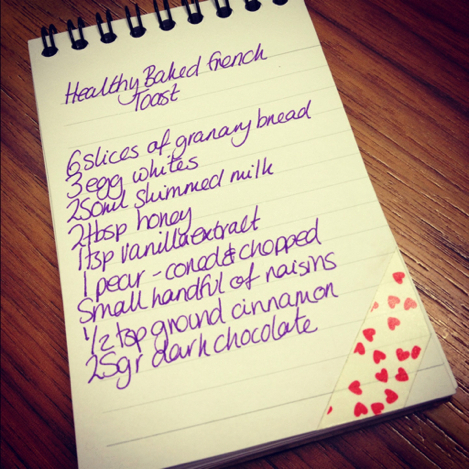 She has challenged us to make something healthy for the new year. You can see the orange round up here. I&apos;m not going to lie to you. You already know that the word &apos;healthy&apos; doesn&apos;t actually feature around here much. Cake, brownies, fudge, tarts, more cake, big cake, small cake, cakes made from soup, more brownies, donuts, and biscuits... And you would think that I am the size of a house. But I&apos;m not. The rest of the time, when I&apos;m not knee deep in butter, I eat pretty healthily. Apart from the odd sneaky takeaway and swift meals out (drifts off into MEATliquor daydream), all our food is cooked from scratch at home. I cant actually tell you the last time I ate a ready meal. I run three times a week and take pole dancing lessons too. I simply believe in moderation. And I dont launch myself into a self loathing hate spiral if I demolish a packet of jaffa cakes. Stuff happens. Jaffa cakes happen. Deal with it. I decided to take something that I love eating for brunch but limit myself on - French Toast - and try and healthy-it-up a bit. 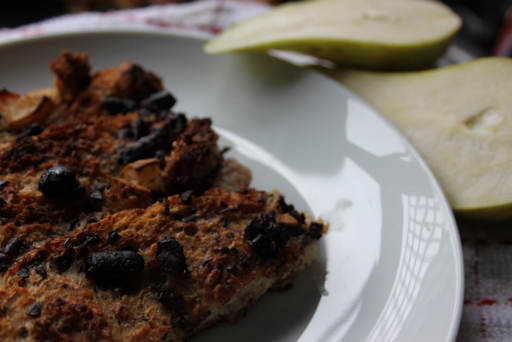 Baking rather than frying, egg whites only, fruit, very dark chocolate and some lovely seeded granary bread is the key. 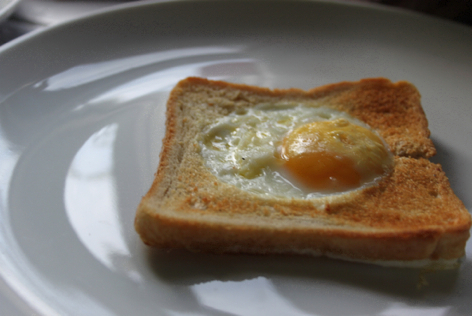 I based my recipe on this one, its perfect for a get ahead breakfast. 2, Cut off the side and bottom crusts of the bread and chop these into small bite size chunks and put the chunks in a bowl and leave the slices to one side. 3, In a bowl or jug beat together the egg whites, skimmed milk, honey and vanilla extract until well combined. 4, Add the pear, raisins, ground cinnamon and dark chocolate into the bowl with the bread crust chunks and toss together until well combined. 5, Arrange the bread slices in the tin, interspersing with the dry pear/raisin/bread/etc mix. 6, Pour over the milk mixture evenly and cover with clingfilm. Pop this in the fridge for a anything over 8 hours. I left mine overnight. 7, Take the french toast out of the fridge and preheat your oven to 160o/c. Replace the clingfilm with foil and bake for 30mins covered. Then remove the foil and bake for a further 10 minutes until golden brown and piping hot through. 8, Cut into slices and serve. Our decorations came down early. Baubles wrapped carefully, pinecones buffed between layers of bubble wrap. Ribbon wreaths carefully laid down with ornaments snuggled in their hollows. I admit, the cottage felt empty. The cats are visibly annoyed that the tree has been cut into three, bagged and awaiting a trip to the Christmas tree farm in the sky. Maybe the emptiness influenced the things that started to come out of the kitchen. 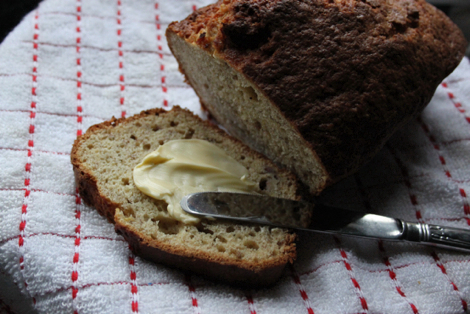 A big hearty vegetable gratin, a burgundy beef stew with horseradish dumplings and this banana bread. Smells filled the void. The smell of browning butter has been my favourite one to envelope the empty space. 1, In a small saucepan, melt the butter and then simmer it, very gently until it takes on a golden brown hue. Nutty and fragrant, not black and bitter, is what you&apos;re aiming for. Pop this to one side to cool a little. 2, Sift the sugar, flour and baking powder together in a large bowl. 3, In a smaller bowl, mash the bananas until you have a chunky paste, and stir in the eggs and the browned melted butter. 4, Add the wet ingredients to the dry ones and fold gently to combine into a smooth batter. 5, Pour into a well greased 1lb loaf tin and bake for 40-50 minutes until rise, golden and an inserted skewer comes out clean. Transfer onto a wire cooling rack. Sneak a warm slice.